The Budapest School of Psychoanalysis brings together a collection of expertly written pieces on the influence of the Budapest (Ferenczi) conception of analytic theory and practice on the evolution of psychoanalysis. It touches on major figures Sandor Ferenczi and Michael Balint whilst concurrently considering topics such as Ferenczi's clinical diary, the study of trauma, the Confusion of Tongues paradigm, and Balint's perspective on supervision. Further to this, the book highlights Jacques Lacan's teaching of Ferenczi, which brings a fresh perspective to a relatively unknown connection between them. The book highlights that the Hungarian analysts, influenced by Ferenczi, through their pioneering work developed a psychoanalytic paradigm which became an alternative to the Freudian tradition. That this paradigm has become recognised and admired in its own right underlines the need to clearly outline, as this book does, the historical context and the output of those who are writing and working in the tradition of the Budapest School. The contributions to this volume demonstrate the widespread and enduring influence of the Budapest School on contemporary psychoanalysis. The contributors are amongst the foremost in Budapest School scholarship and the insights they offer are at once profound as well as insightful. 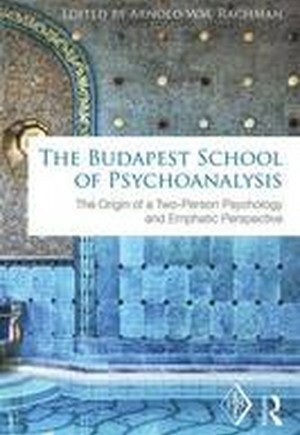 This book is an important read for those practitioners and students of psychoanalysis who wish for an insight into the early and developing years of the Budapest School of Psychoanalysis and its impact on contemporary clinical practice.